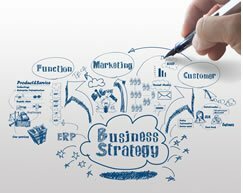 Each of our clients has unique goals, business challenges and competitors. That's why all of our client engagements begin with a consultation with one of our business analysts. We listen to our clients to develop a comprehensive understanding of each client's requirements and challenges. JKS leverages this insight to create innovative solutions and then translates these solutions into clear, actionable and measurable plans. Call us at 908 731 5571 or use the form below to learn more about how JKS Web Design can help your business achieve it’s goals. One of our business analysts will contact you shortly. Thank you for giving JKS the opportunity to win your business! We look forward to working with you! Effective Marketing demands a comprehensive understanding of the business strategy, goals and the competition.